The folks at Barrell Craft Spirits have finally answered my prayers with the release of their first batch of rye whiskey. This initial batch is aged 4.5 years and features rye whiskies distilled in Indiana and Tennessee. A combination of “sweeter malted barley rye barrels and spicy high rye barrels”, Barrell Rye Batch 001 comes across as a bit different than you’re used to. I’ll explain in my tasting notes below. 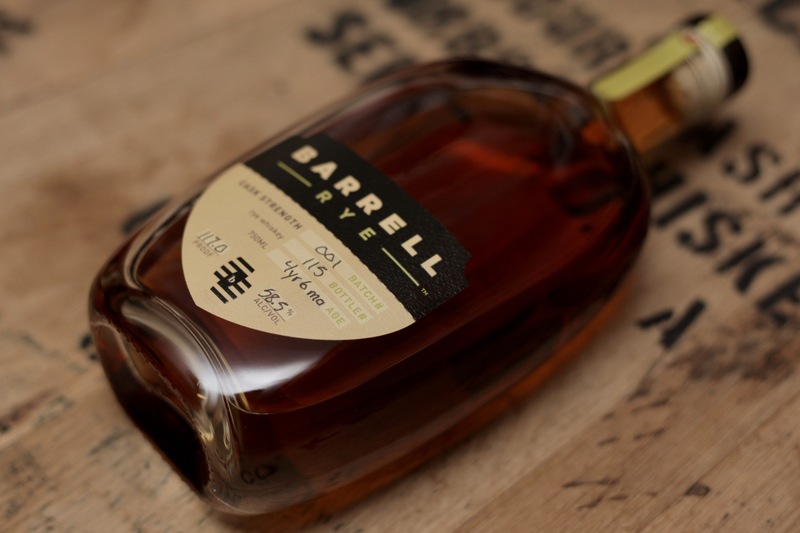 Barrell Rye is bottled at a cask strength of 58.5% abv, or 117 proof, to preserve the full character of the spirit. Rye grain is at the forefront of both the nose and palate. On the nose, the whiskey comes across as rich and buttery as well as spicy. Here, the spice I refer to is cinnamon and allspice. A bit of caramel and a touch of vanilla extract round out the nose. On entry, an initial blast of buttery toffee transitions into waves of spice, butterscotch, and slightly herbaceous notes. The interplay of sweet and spice is nice here. The finish is long, with slightly sweet toasted rye bread and dark malt lingering.